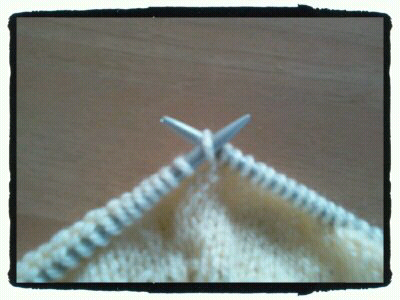 (1) Pick up the loop between two stitches and knit into the back of it. (called: M1 or Make 1) This is a very neat way of increasing. Lift the yarn between two stitches and place the stitch on the left-hand needle then insert the right-hand needle into the back of the loop and complete the stitch. 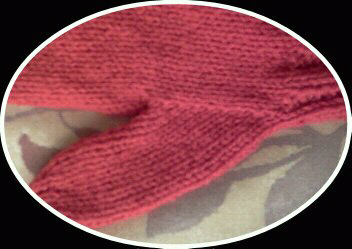 (2) Knit into the front and back of the same stitch. (referred to as: inc 1; and also: Knit into the next stitch twice). This method is usually used when increasing the number of stitches very gradually over many rows and is often used where the increase is at the edge of the garment. The increased stitch is generally made into the second stitch of a knit row or if at the end of the row then into the last but one. This method of increase is frequently used in pullovers and cardigans. 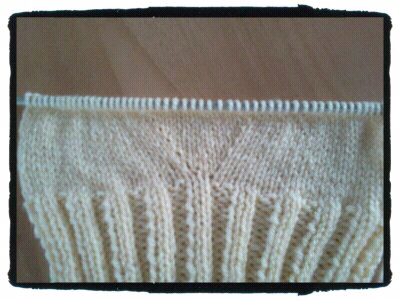 (3) Cast On (usually used when there are several increases needed in the same row, eg. adding a thumb or fingers to gloves - note that to knit these cast on stitches in this glove pattern the work will be turned and pearled before continuing. 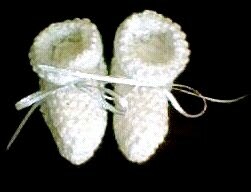 (4) Wool round needle twice. (called: yf; or yarn forward alternatively yo; or yarn over) This produces a lace-like pattern with holes. 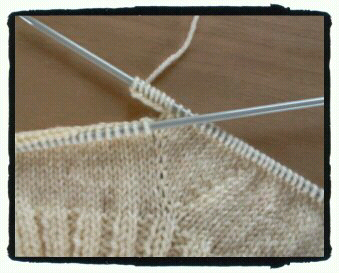 (5) Knit a stitch and while the stitch is still on the left-hand needle purl into it as well (called: Moss Inc). 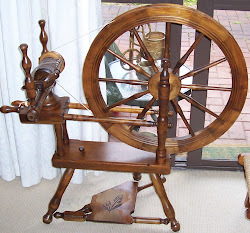 (6) It is also possible to bring up an increase from several previous rows by introducing a second length of yarn. It is then brought up through the work as part of a double stitch from the previous row and makes a v stitch. This is useful when creating a square neckline for pullovers.